This is a Beautiful AVeM Murano (Arte Vetraria Muranese) red glass ‘Tutti Frutti’ small vase / bowl / toothpick holder, Venice, Italy circa 1950’s. 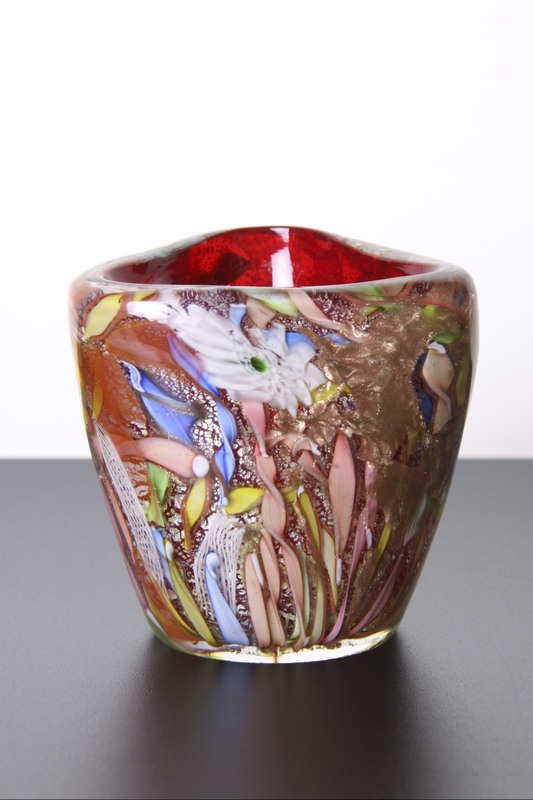 A Stunning piece that displays the master craftsmanship and artistry of Murano’s glassblowers. The exquisite myriad of glasswork includes silver leaf, Zanfirico lattice filigree, twisted ribbon canes, and copper Aventurine. All set in a random form in clear glass, the inner being a rich red glass, which creates a lovely stunning background to the intricate craftsmanship. Catches the light beautifully through the myriad techniques and colours, the undulating amorphous form looks different from every angle, beautifully curved and organic. 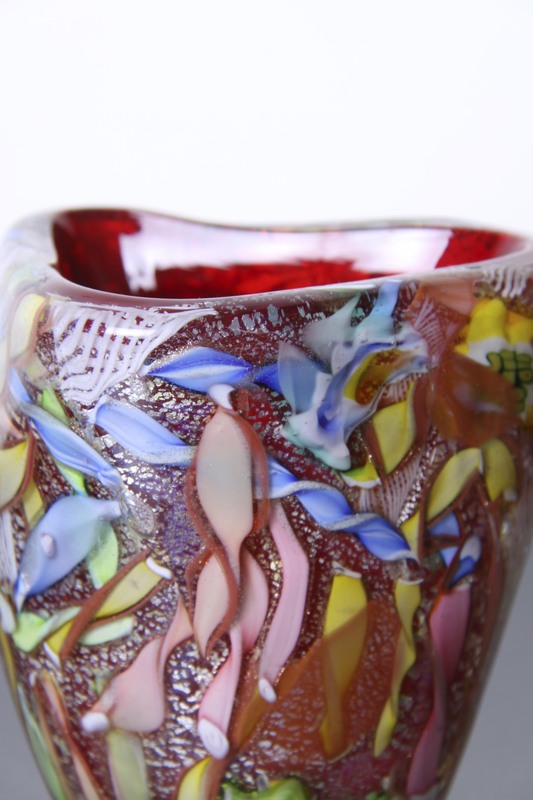 Would make a Fantastic addition to any collection of Murano, European Art glass, and would complement any retro, vintage, mid century, Hollywood regency, fifties, sixties, minimal or contemporary interior. In Excellent Condition, no chips, a couple of very small surface marks not noticeable on display, the usual age related wear to the base, nothing to detract. Measures 9 x 9 x 8cm / 3.5 x 3.5 x 3in. 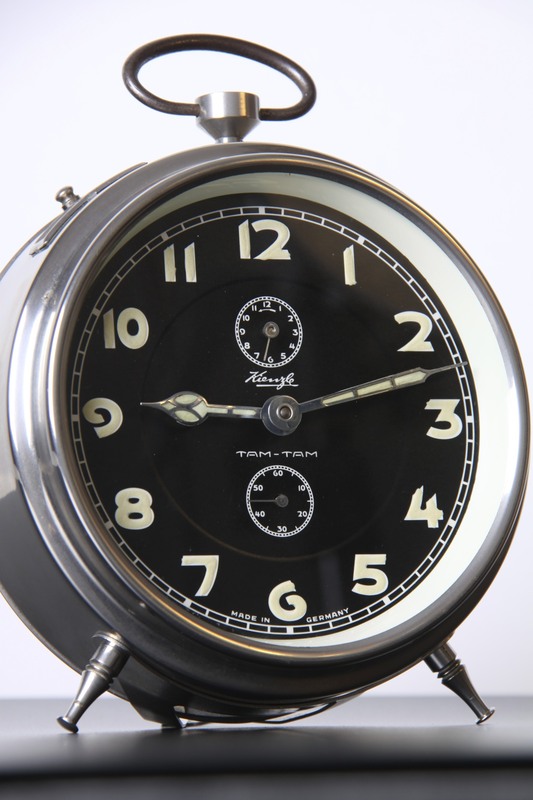 This is a Stunning and Rare Kienzle ‘Tam-Tam’ alarm clock, made in Germany circa 1930’s. 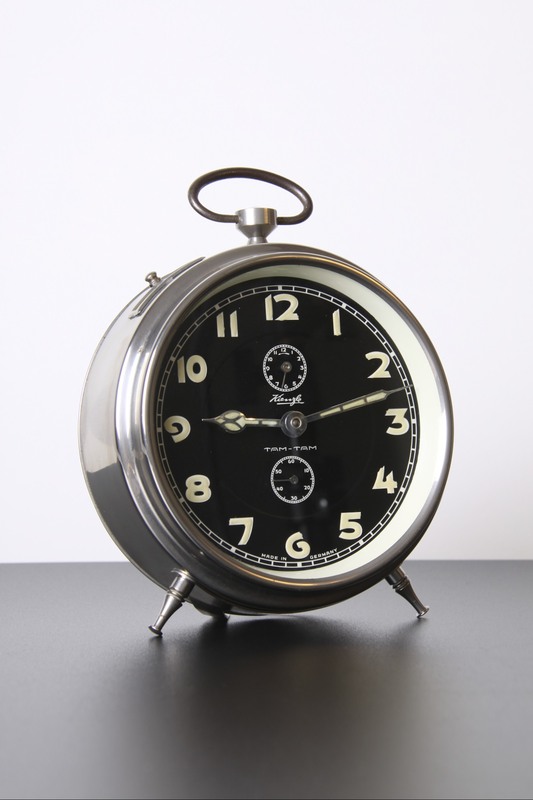 A Beautiful design from this renowned maker of high quality clocks. Has all the hallmarks of the Art Deco era. With its round Chrome body gently leaning back on attractively detailed feet and stand. With a carry handle on the top, and sliding knobs for alarm/silent and steady/repeat functions. Even the dials on the rear are attractive and the winders have the Kienzle logo on. The face is Beautiful, sitting behind glass, framed by a glossy white border in a graphic black with Great vintage lettering and numerals very Art Deco / Bauhaus / Modernist in style. With a second and alarm dial also, the hands are also embellished. The numerals and hands glow in the dark, for easy reading at night! Fully Working, keeping good time, can be adjusted on the back. The alarm is working and Very Loud! In remarkable condition for its age, a little tarnishing in a few spots, on the handle and the inner rim on the rear, could be polished to perfection! Tiny marks on one of the hands and a few flakes of paint missing from the inner rim when seen from an angle, nothing to detract from the Excellent look on display. A Real Rare Art Deco gem, would make a Stunning addition to any bedroom, table or desk. Would make a Fantastic decorators / designers piece for any retro, vintage, antique, Art Deco, Modernist, Bauhaus, 1930’s styled interior. Measures 17 x 12 x 6cm / 6.75 x 4.75 x 2.5in.